Through mentoring, business angels offer more than just money. Mentor-driven capital is the approach to creating value for startups by sharing the knowledge, experience and network you’ve build up during your career, while maximizing the return on investment. Join Africa’s business angel movement and start your journey as a mentor today! Take advantage of the first dedicated training program designed for African business professionals keen to support Africa’s up and coming entrepreneurs. Angel investing is of course about providing early-stage companies with investment capital, but of far more significance is the expertise and network a business Angel can share with entrepreneurs. This program boosts your ability to support entrepreneurs as a high-powered mentor while learning to think like a savvy business Angel. Join 15 aspiring business angels and take advantage of the first dedicated training program designed for African business professionals keen to support Africa’s up and coming entrepreneurs. Angel investing is mentor-driven investing. Where capital is only one aspect, a true business angel uses mentorship to guide entrepreneurs to success. Through this unique program, you will engage up and coming startups while receiving guidance, training and hands-on support needed to become a successful business angel. No investment is required. The program is focused on giving you the tools to think like an investor and to maximize your impact as a mentor. Understanding how you as a Business Angel can add value to a starting business is core to your journey to becoming a successful Business Angel. In what ways can you support the founder team in achieving their business objectives? How can you unlock your network and expertise for the growth of the company? How can you use your experience to better position the company for corporate partnerships to grow? How can you do this in your own interest to maximize value and improve chances of a successful investment outcome? This is a unique opportunity to join a pioneering community of Business Angels coming up across the continent. Engage industry leaders and learn from your peers while supporting exciting new startups selected as part of the Make-IT program. Learn how to engage founders, the rules for mentorship, and how to maximize your impact as a Business Angel. Learn from industry experts, tap industry-leading knowledge, and engage your peers in this hands-on learning journey. Submit a complete application if you are interested in this program. Shortlisted candidates will be invited for an interview. 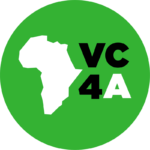 Contact David van Dijk at david@vc4a.com if you would like to discuss this opportunity in more detail. Make a tangible contribution to promising African startups and become a business Angel today! This program is made possible via VC4A collaboration with GiZ and the Make-IT in Africa program. As such, we are able to offer 15 individuals to take part in this initiative. Please inquire for more details.